Sometimes I struggle to think of new & tasty lunch ideas that my son will like. He’s a pretty picky eater but he usually picks healthy foods like broccoli, carrots and chicken so that makes things easier. He loves pizza (ham & pineapple are his favorite toppings) so I’ve started making homemade pockets that taste similar to pizza pockets. 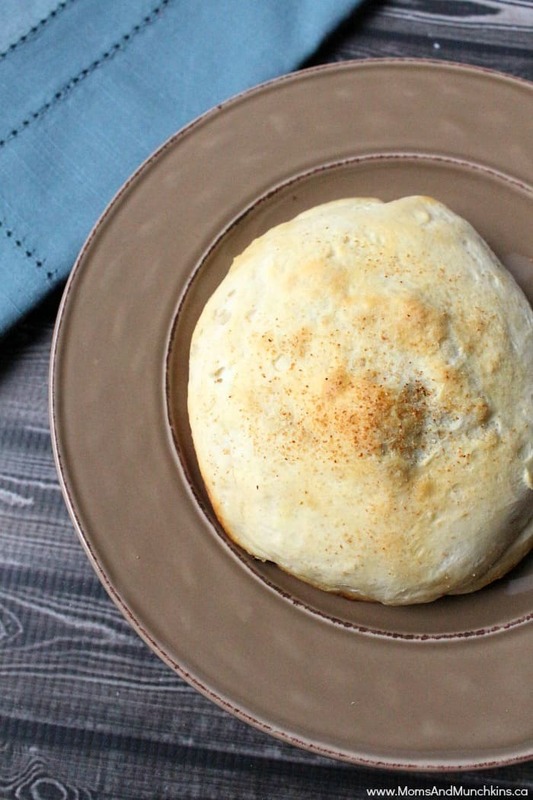 These homemade pockets are a hit with my whole family! These are super easy to make and they go great with homemade fries or salad. 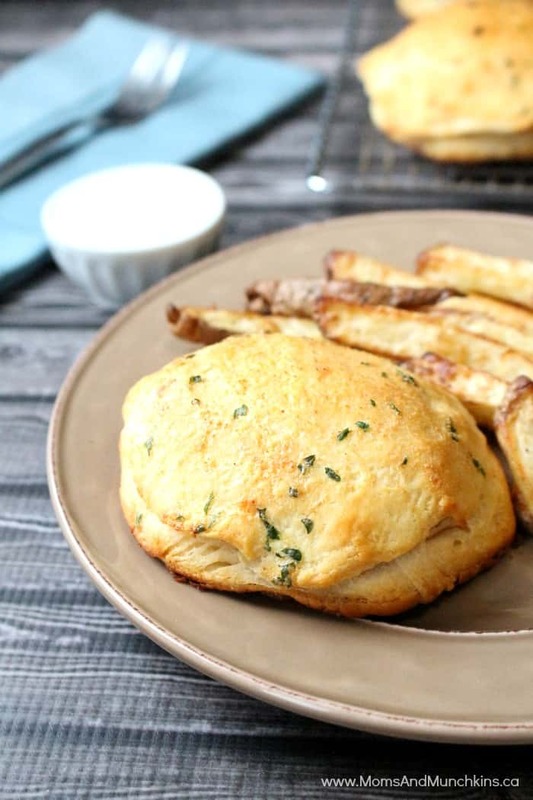 If you’re looking for a tasty homemade fries recipe, try this Garlic Ranch Potatoes recipe. My latest homemade pizza pocket creation are these Turkey Taco Pockets. I love taco seasoning so I knew this would be a good one to try. 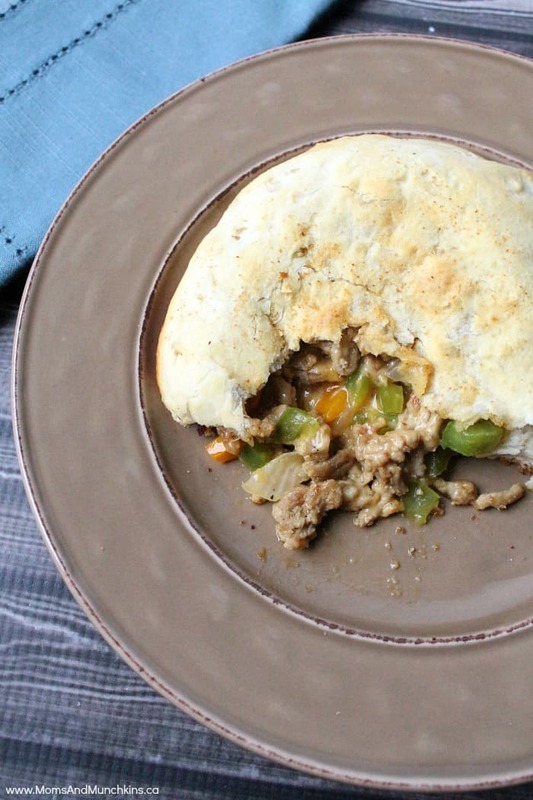 It’s a delicious comfort food recipe too – kind of like a mini pot pie. These taste great as leftovers too! This recipe makes 5 pockets. In a frying pan, cook turkey until thoroughly cooked. Add taco seasoning mix (according to directions on package), bell peppers and onion. Simmer (on medium heat) for 10 minutes. Add shredded cheese to turkey mixture and heat just until melted. On a large baking sheet (ungreased), flatten out 5 of the biscuits and top each with turkey mixture. You'll be able to fit about 3 tablespoons of turkey mixture on each biscuit. Flatten out the other 5 biscuits and use these as the tops for the ones with turkey on them. Pinch the edges of each pocket together so the filling doesn't come out while baking. Spoon melted butter over each of the 5 pockets and sprinkle garlic powder on the top of each. Now that I have my new Frigidaire Freestanding Induction Range, I can cook a lot more in a shorter amount of time. Trust me, I’ve been putting this theory to use a lot lately! I absolutely love the induction cooktop. You can bring things to a boil so quickly and spills never burn to the top of the stove. 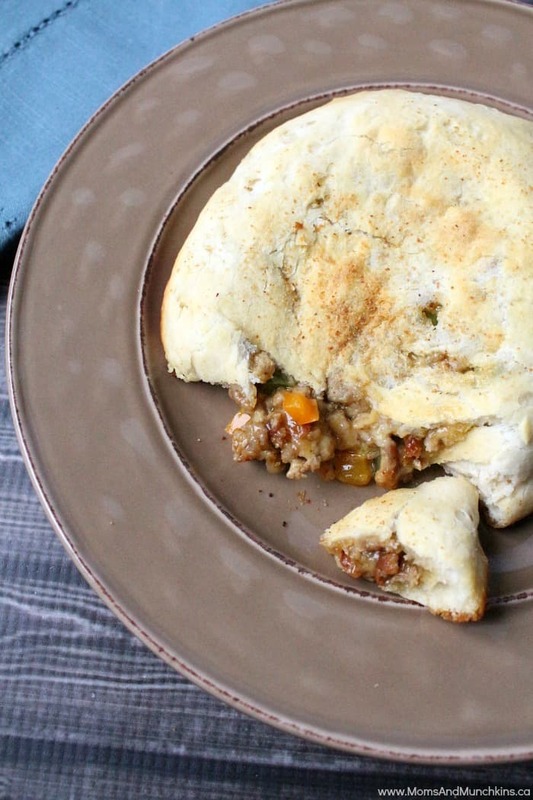 For another homemade pocket recipe, check out these Chicken, Apple and Brie Turnovers.